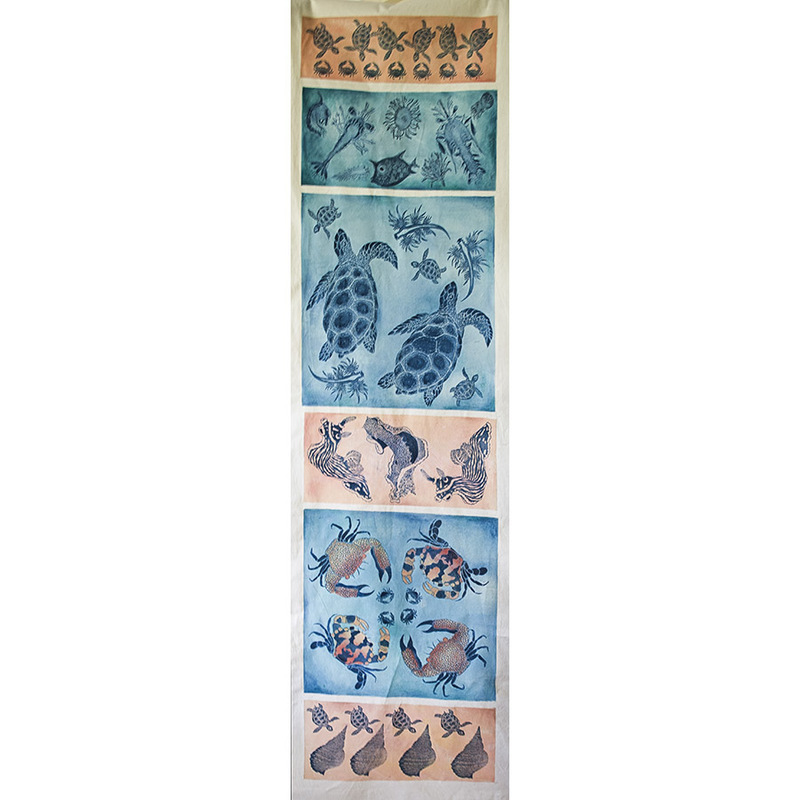 In Reef edgy blues, Sarah Mitchell celebrates the intricate and microscopic oceanic realm of the Great Barrier Reef with her sophisticated drawing and printing process. 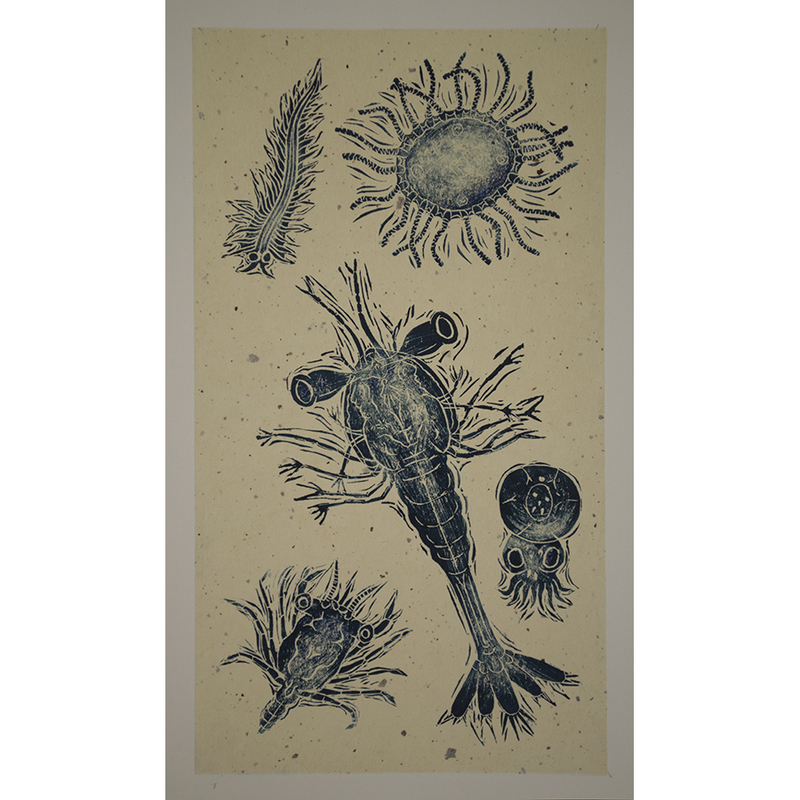 The beautiful Zooplankton of the Great Barrier Reef is my inspiration. 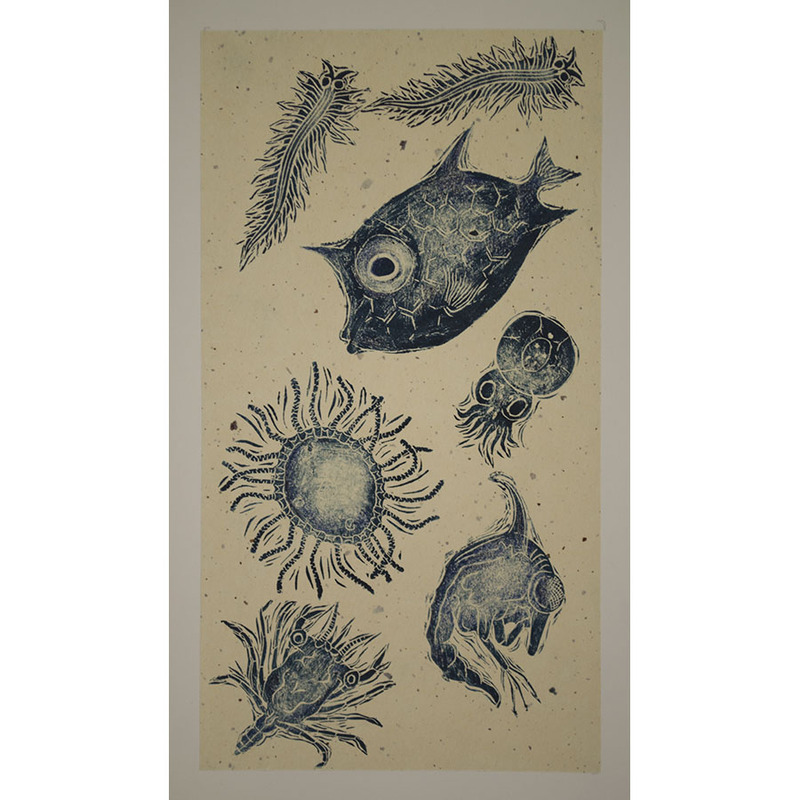 It is the building block on which the health of the reef depends, and it is in slow decline. 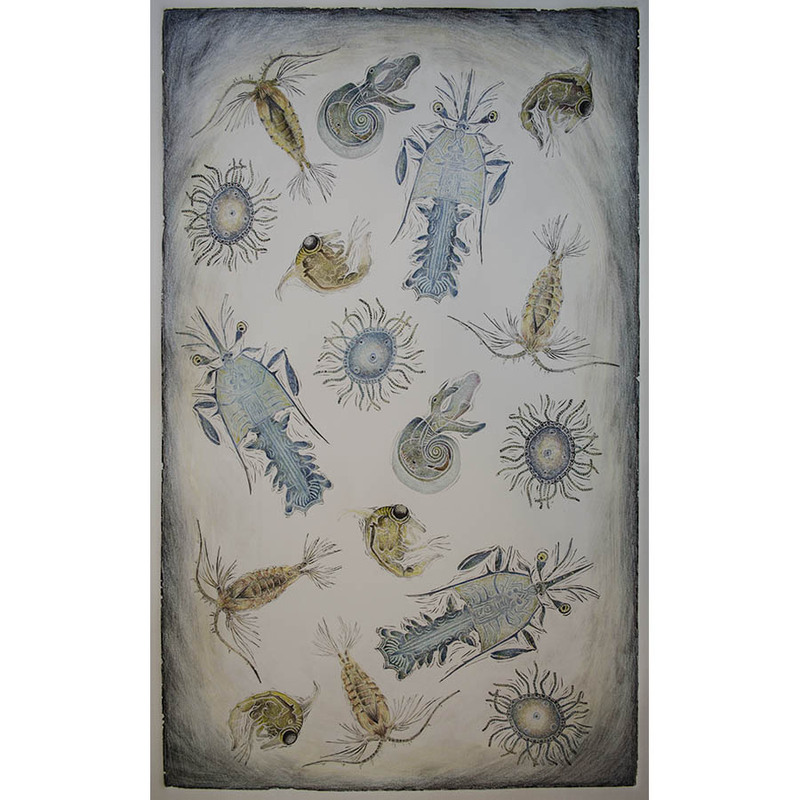 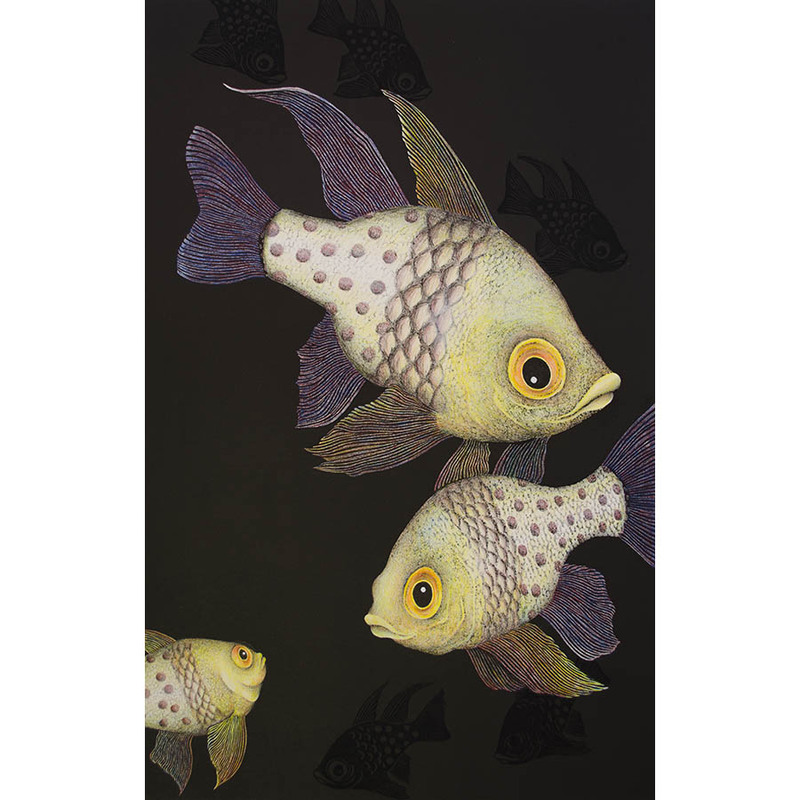 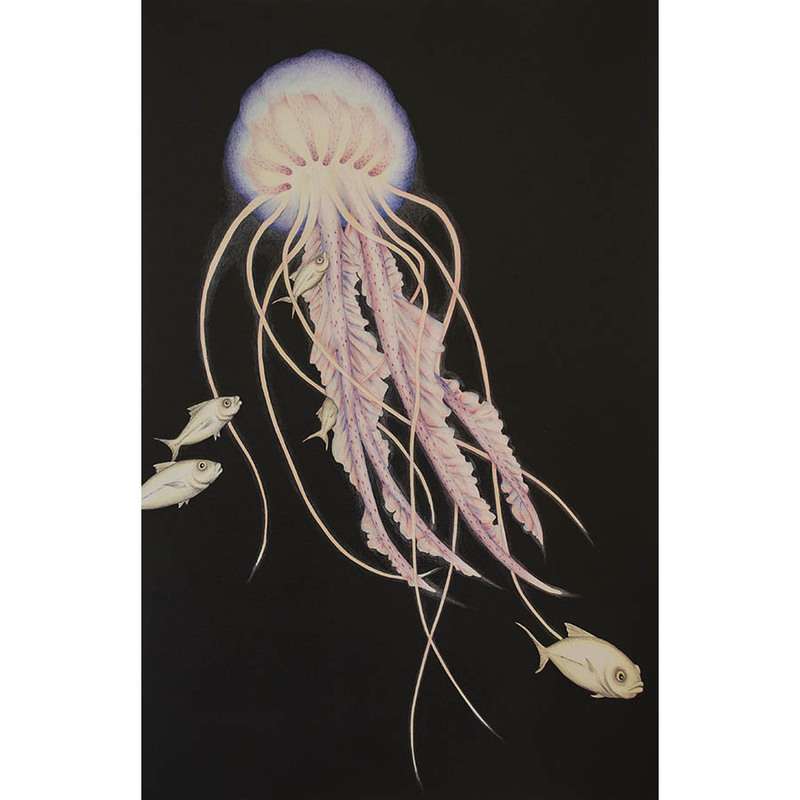 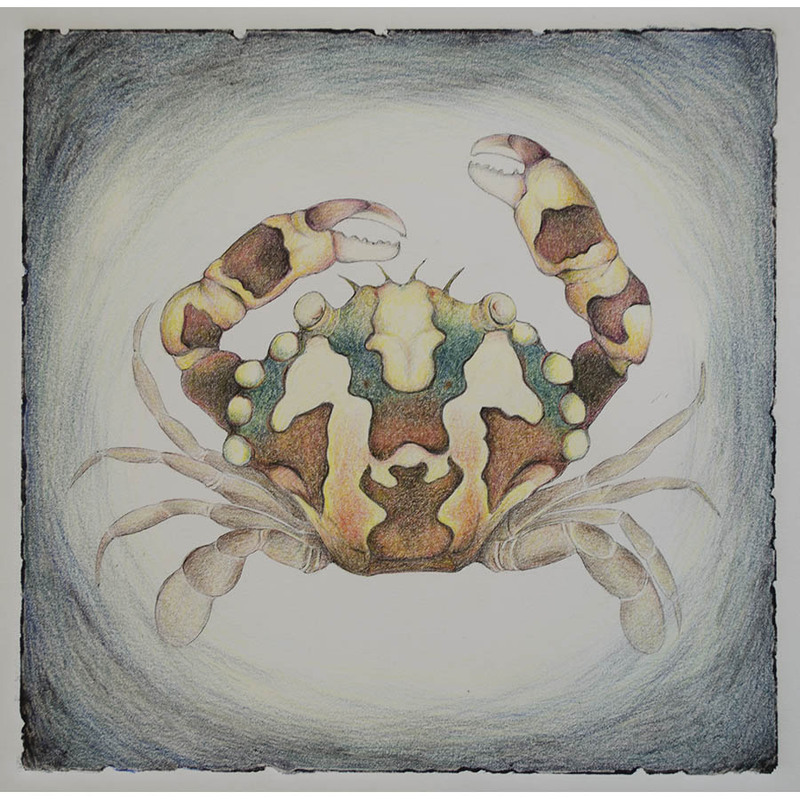 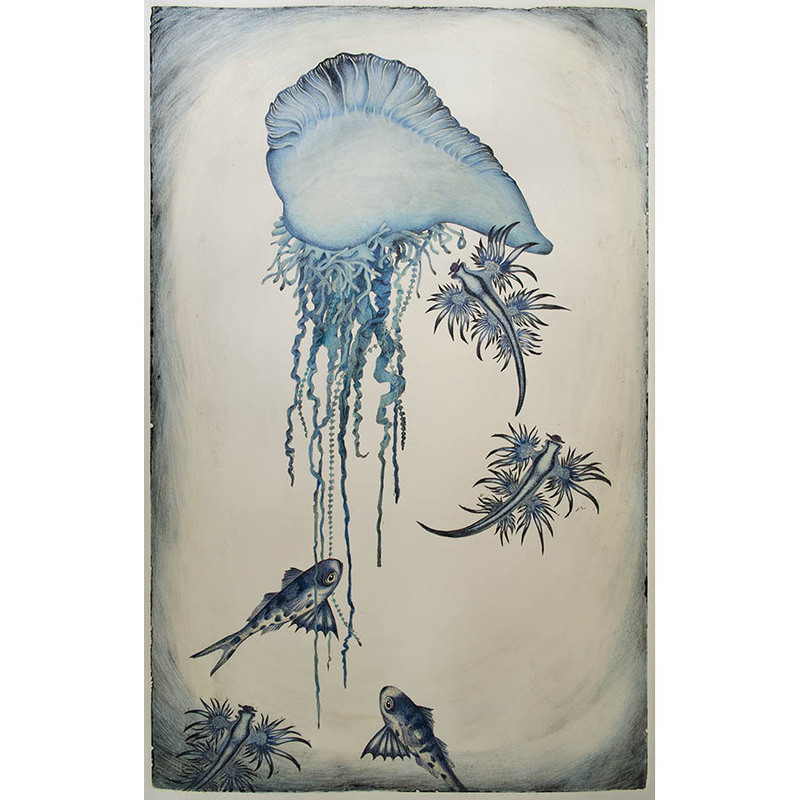 This work celebrates some of the delicate creatures of the reef most susceptible to warming water, human and natural disturbance. 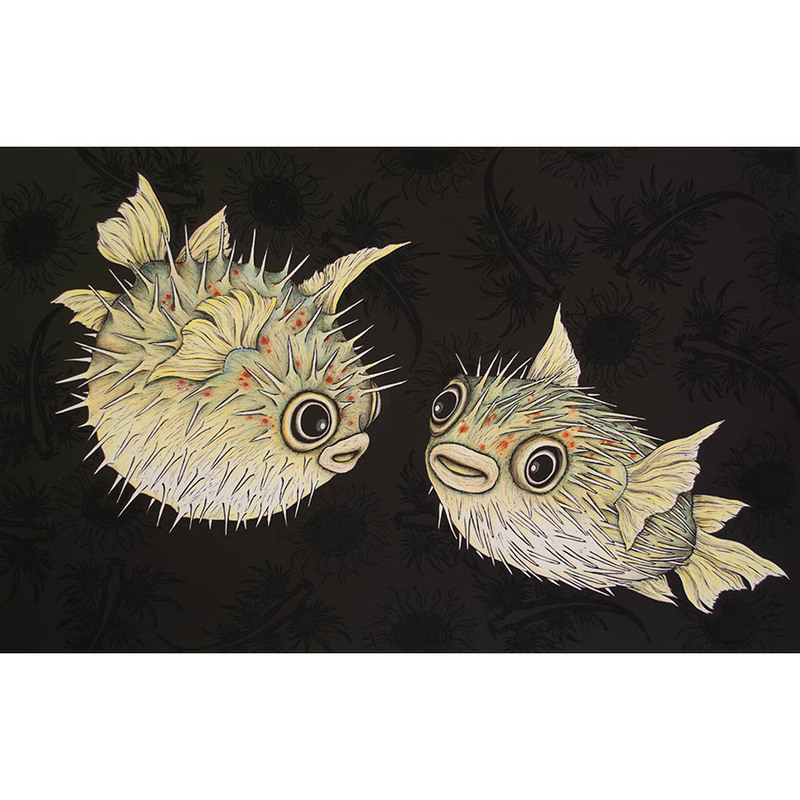 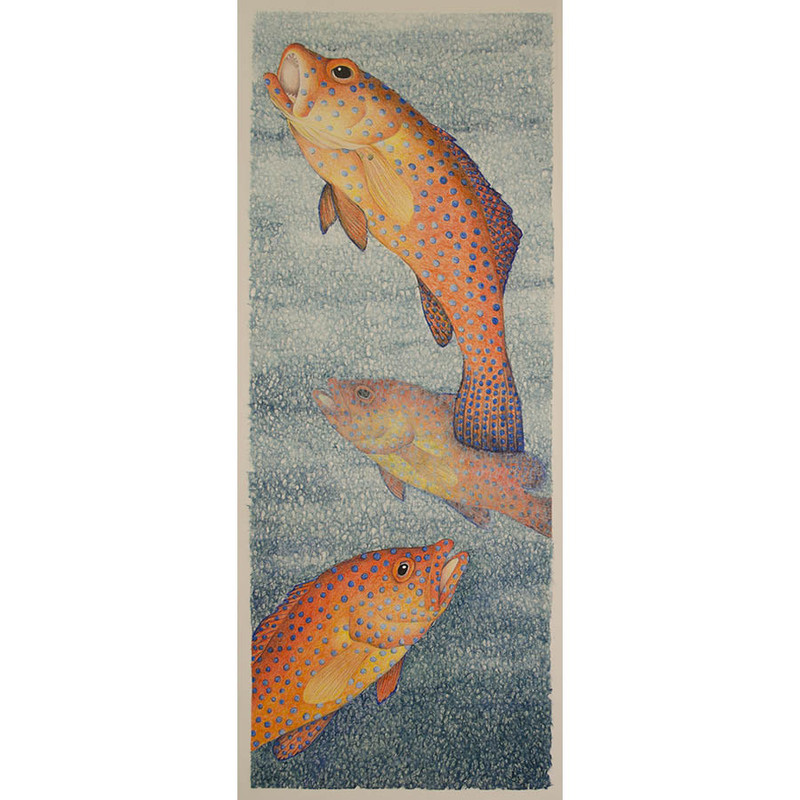 Uneditioned hand coloured lino cuts, calico wall hangings and wooden bowls make up the work.